Guide to everyday quick low GI cooking. 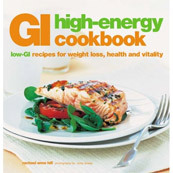 A low GI cookbook by a celebrity chef. We interviewed Rick Gallop about all things GI related.